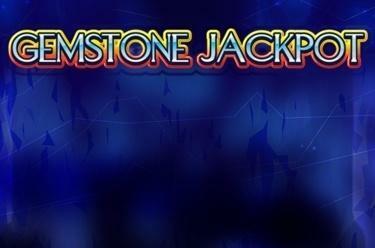 Play Gemstone Jackpot online for free now! Do your eyes widen at the sight of sparkling diamonds? Then you should make sure you’re sitting down - as these gems will make you weak in the knees! 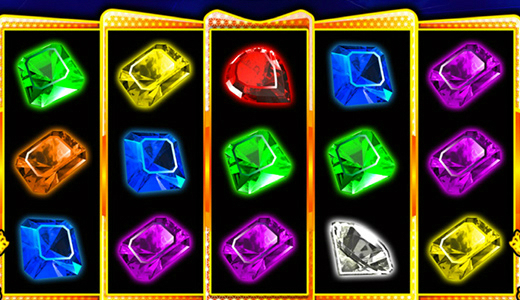 Open our treasure chest and land the jewels in the correct order along 10 win lines - once you've got a winning combination, the ‘Lock & Spin’ feature feature is activated, with which you can really win big! Your aim is to land 5 matching symbols along an active win line. Every winning combination begins on the left and runs along the win line to the right. You win when matching symbols land on a win line side by side without being interrupted by other symbols. Land a winning combination on one or more lines to trigger the ‘Lock & Spin’ feature. All symbols in your current winning combination(s) are locked to the reels and all other positions are spun again. Any new symbols which compliment your fixed winning symbols also become fixed and all other positions are spun again. You will continue to receive spins as long as you keep landing complimenting symbols. As soon as the feature comes to an end, you will be credited with your winnings and all locked symbols will be released.